To mark the one year anniversary of the opening of the St. Bonaventures Business Centre, Bristol street artist Jody has been invited to create a piece on the walls of the building. 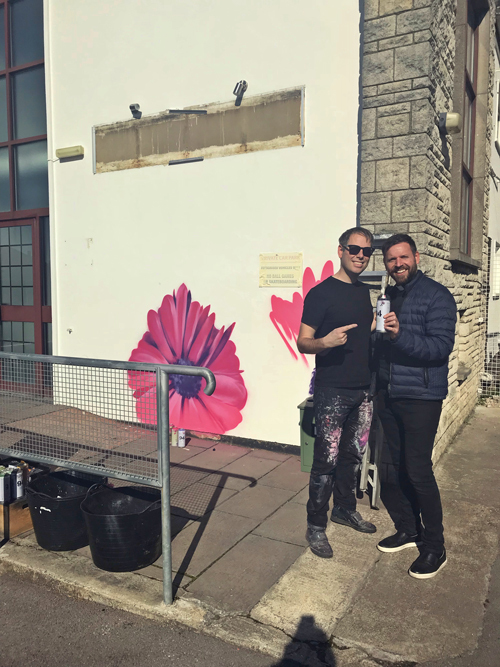 Jody, who headlined graffiti festival Upfest this year, will feature a floral interpretation of Picasso’s Peace Dove as a mark of bringing God’s peace and contemporary Christianity to the local Bishopston community. The image can be found via the car park entrance. The land for St. Bonaventure’s Church and School was purchased in 1889 for £2,300. Work first began on the school in 1890 and the foundation stone for the building of the Church was not laid until 1900 on the day of the Feast of St. Bonaventure, a day which both the school and Church still celebrate.